For the non-gaming world, this just seems completely silly. 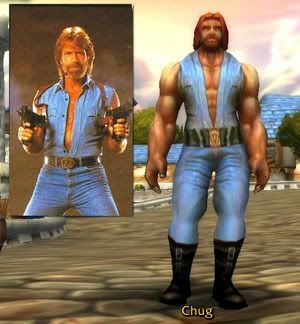 For the gaming world, well, it is silly...but don't let Chuck Norris let you hear that. ;-) I wouldn't normally post about this but given that I just posted that w00t was the word of the year, I figured, hey, why not? If you're curious, what the hype involves, just google "Chuck Norris" and you'll quickly see....tons of sites with lists of Chuck Norris jokes, associating him with godly powers/abilities/skills.